UV Test Chambers have been developed to provide a UV weathering. The UV simulates the effect of sunlight with fluorescent ultraviolet (UV) lamps, while rain and dew are simulated by the condensation of humidity. As stated previously, the UV light only represents roughly 5% of the sunlight but it is responsible for most of the polymer degradation. Also, materials are often tested with equipment, which simulate only the shortest wavelengths (UV). The UV-B range includes the shortest wavelengths found in sunlight. Therefore, for many applications, it is a fast and efficient method. UV test chambers uses two main types of lamps: UVA-340 and UVB-313. While these lamps have different light emission spectrum, they are both characterized by a maximum of emission in the UV range. UVA provides a reasonable match of the UV region of the solar spectrum, but this match is no longer valid for the long wavelengths (visible, IR). UVB lamps also emit UV light, but the maximum of the emission spectrum is shifted towards short wavelengths compared to the UVA lamps. The UVB-313 lamp is a widely used type of fluorescent UV lamp that provides fast test results. However, the spectrum contains short wavelengths, which are not present in the solar radiation. 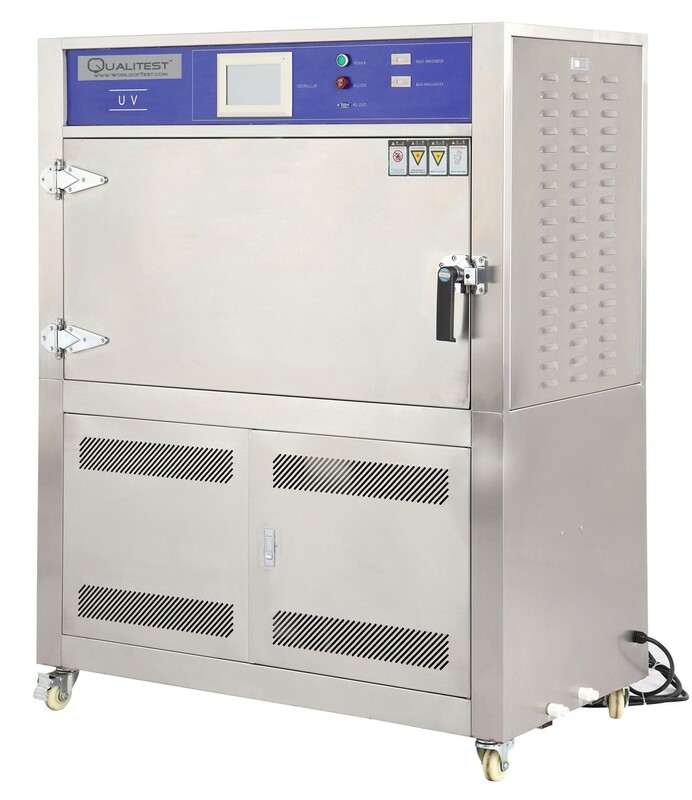 UV test chambers simulates the environment of high temperature atmospheric pressure environment, which is used to heat resistance test for electrical insulation, ventilation aging test of electronic parts, plasticizing product, leather textile test, treatment of mandatory ventilation, etc. Stainless steel SUS#304 made, easy setting operation. Ventilation measurement function. Wing diffusion supply air circulation system, fresh air ventilation can be arbitrary adjustment.